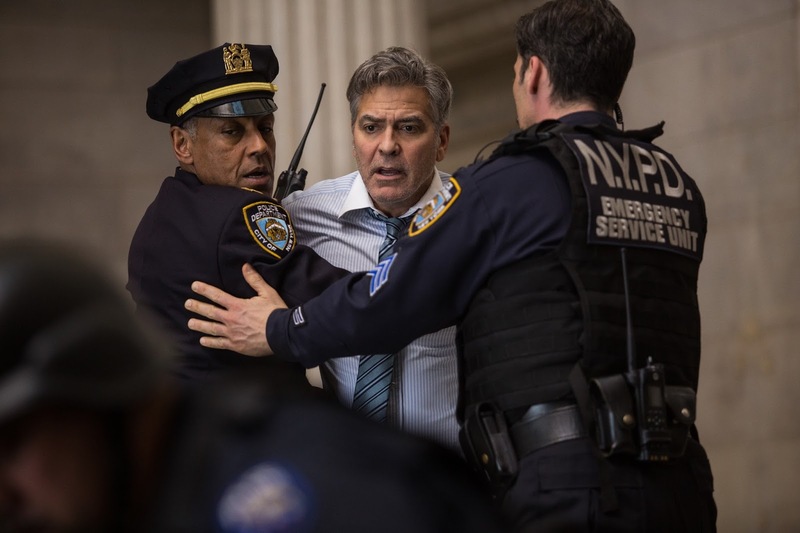 George Clooney (Lee Gates, center) stars with Giancarlo Esposito (Captain Marcus Powell, left) in TriStar Pictures’ MONEY MONSTER. © 2016 CTMG, Inc. All Rights Reserved. 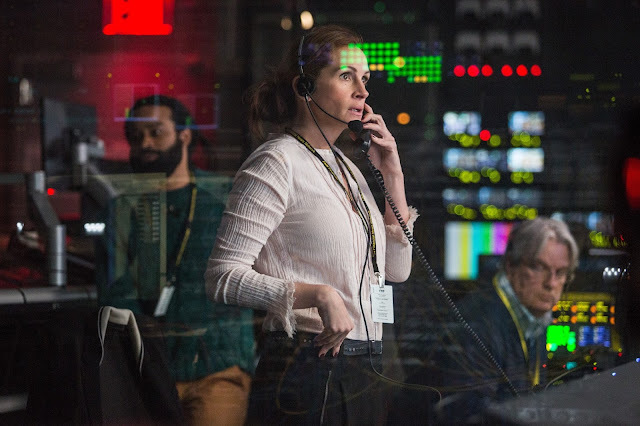 Property of Sony Pictures Entertainment Inc.
Money Monster, starring George Clooney, Julia Roberts and Jack O'Connell opens Friday, May 13. The film was directed by Jodie Foster. Check out the trailer below. Julia Roberts (Patty Fenn, center) stars with Carsey Walker, Jr. (Sam Shaw, left), James Warden (Jim, right) in TriStar Pictures’ MONEY MONSTER. © 2016 CTMG, Inc. All Rights Reserved. Property of Sony Pictures Entertainment Inc.
© 2016 TriStar Pictures / Sony Pictures. All Rights Reserved.